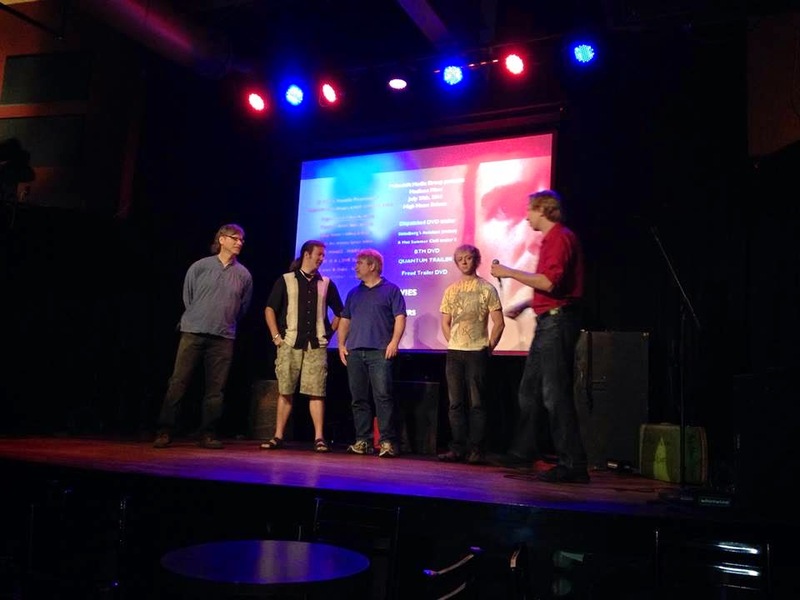 Tarazod Films & Media LLC: Public Screening of "Beast Bike Beauty"
The High Noon Saloon film screenings tonight in Madison were well received. Five films played in all including our short Beast Bike Beauty. Filmmakers on stage for the Q&A after the screening. L-R: Robert Lughai, Bryan Royston, Jeff Blankenship, Joey Broyles, and Ben Wydeven. Photo by Karla Siemering Bryant.